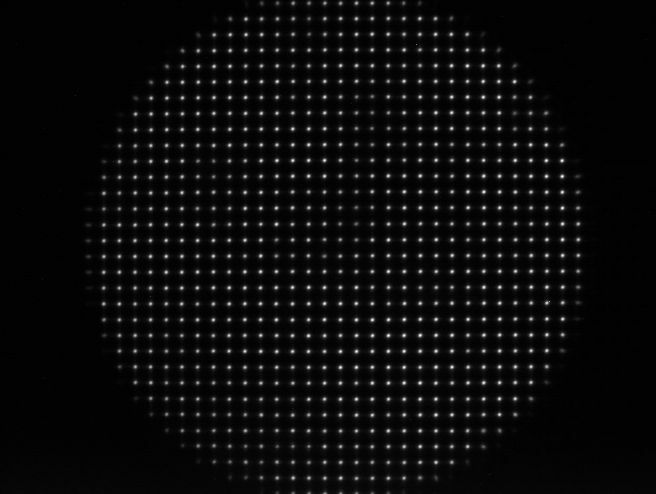 I have an array image of microlenses (SHWS), raw pixel image of a our microlens array as captured by our CCD camera. I need to know the intensity of each centroids and classify them by a certain threshold. Marking them in the image by a color diagram in each point to know the distribution. So to know if there are areas more illuminated than others following a pattern. I used 'Image Segmentation Tutorial' , but I don't know if there is a simpler and more intuitive way.